There are some things in life we have to write down, in order for them to become ours. There are some things we have to write down because writing is prayer. Writing from the heart is powerful. When we intentionally write with our hearts, we invite Jesus to meet with us — in the intimacy of our journey. Writing, we become the Beloved. His Beloved. Close to three years ago, I couldn’t breathe. Debilitating, unexpected panic attacks overtook me. Day and night. For an unknown period of time. To heal, I had to write in my whole voice. With my whole heart. As is. With you. I know without a shadow of a doubt, writing with you in our Thursday weekly linkups changed the course of my story. It healed me. It made me real. And a book was birthed. Writing is a deeply spiritual act of faith. Research even shows that 15-20 minutes of expressive writing just three or four times in the course of four months makes a difference in emotional and physical well-being (improving mood, lowering stress levels and depressive symptoms). Today, I’m inviting you to accept a bold challenge this year, sweet kindreds. 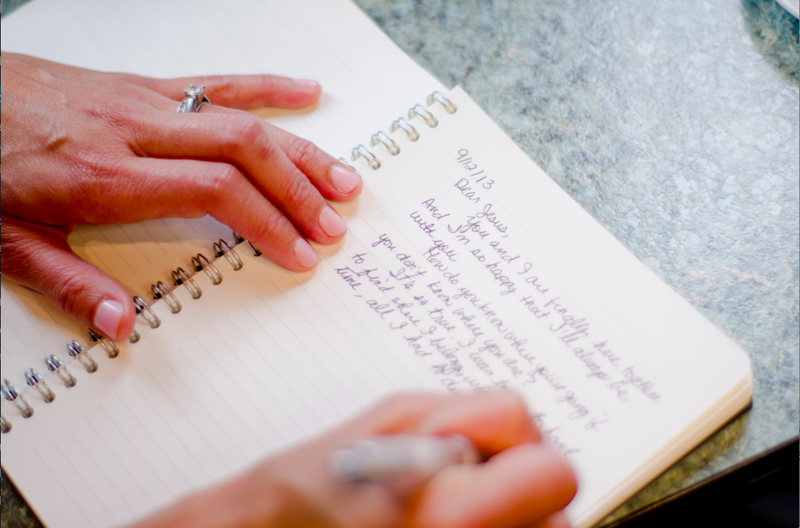 I invite you to write as the Beloved in 2015. 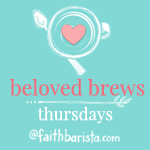 I’m launching a new linkup on Thursdays called: Beloved Brews. I provide the writing prompts. 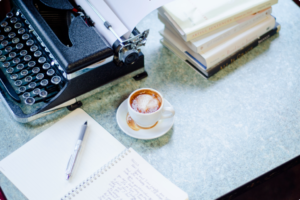 You write and publish on any day. Then, link up on Thursday (I will have a link up button at the end of Thursday’s post, so you can type in your url. Or join in with a comment if you don’t blog). Read the post before yours and comment to say hi and encourage. Please use the Beloved Brews Badge and link back to http://www.thebonniegray.com/category/belovedbrews-linkup, so we can invite others and recognize each other in our community. I took my first breaths as the Beloved — by writing with my whole heart with you. When we write, we dare to believe our voice makes a difference — that we are the Beloved. That God cares about our every thought, feeling and experience and struggle. We tell our stories. And others are touched to become the Beloved — and share their stories too. Because we are all made to be known. Just as Jesus placed His stories in the hearts of those He loved, bound as a book of Scriptures — you and I have words to share with each other — today — from Jesus. Your voice matters. You’ll touch hearts in your everyday life (because this kind of writing will change us). You’ll touch others with a voice that is beautiful and real: yours. Begin with next Thursday’s 1/15 writing prompt: What is Your One Word for 2015? 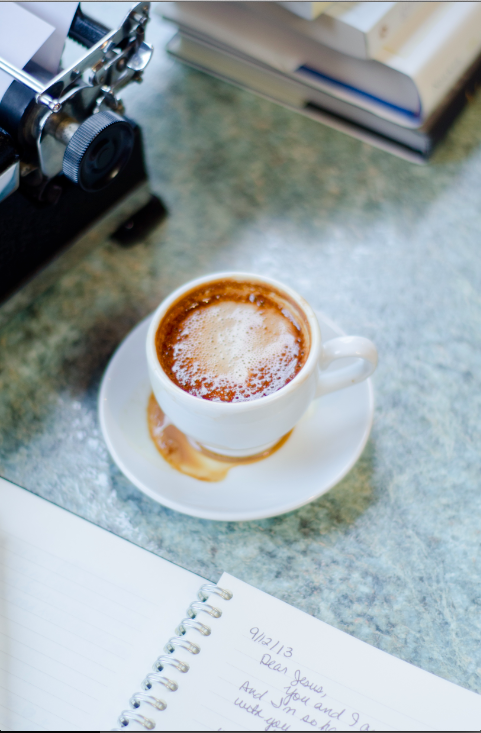 Whether you once journaled and write for personal pleasure — or maybe you have a blog, or you’re wrestling with whether to write a book, or you simply enjoy sharing your voice by commenting — take the challenge with me to write with Jesus and share it. I’ll serve up tips on “whole heart writing” that I’ve learned along this journey. And I hope you’ll be inspired and encouraged to find your voice too. Let’s swap stories. Brew up a post. Join Beloved Brew Thursdays. Beloved Brews. Because writing intentionally with Jesus is living with all my heart. 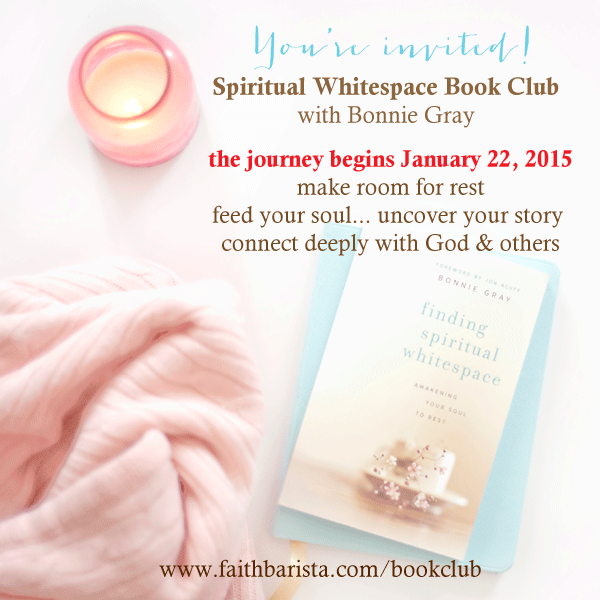 Our Whitespace Book Club begins January 22! We’ll be reading through the book together. Order your copy of Finding Spiritual Whitespace and invite some friends to do this together. Just like my Facebook Page. The Book Club will take place there. I can’t wait to hear how the book speaks to you! If you host a book club gathering in your home, sign up here to receive a small group guide and extra resources. Bonnie, it will be my pleasure to link up with you on Thursdays. This is always such a peaceful place to come and reflect. Your words continue to bless me. sharon, it will be wonderful to share our beloved brews… yay! “Beloved Brews.” I love it, Bonnie. i’m so happy it resonates with your heart, Trudy. Looking forward to participating in this new opportunity to write. Thank you! Beloved Brews! I love the picture. Can’t wait to meet up on Thursdays. that’s so wonderful to know we’ll meet up together then, Jeanne! I would love the opportunity to share !! I hope i can link up properly !!!! Oh Bonnie, this couldn’t be a more perfect start…my word is sing and the reason is for so much of what you wrote above! Looking forward to posting with you and the others here! i can’t tell you how happy that makes me, emily. 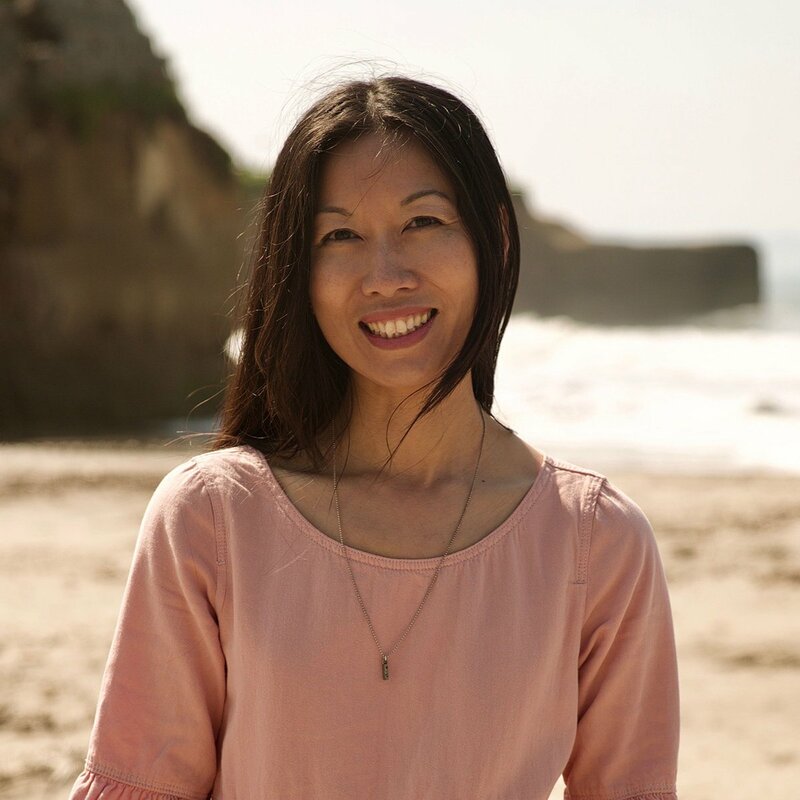 to know my journey to write as the beloved resonates with your heart too! we’ll do this together, as your heart feels prompted. just enjoy. Bonnie, this is such a great idea. Thank you so much for your leadership, your honesty, your creativity, your generosity in sharing your journey and gently pushing us to do the same. Sometimes in my journey through the scriptures I feel like God is saying to me, just rest here a while and soak in this/soak this in… So I started Luke a few weeks ago, but I’m at the end of ch. 5 (where all the “beginning of the story” pretty much wraps up), and just keep circling back through ch’s 3-5. But especially 3:22 keeps jumping out at me: “you are … the Beloved, with you I am well pleased”. Let’s keep that voice echoing in our ears and hearts this year! Bonnie, Thank you for creating this opportunity to share and bond– with one another, ourselves, and Jesus. Looking forward to this blessing! Thank you Bonnie- you are an answer to prayer. I’ve been feeling The Lord nudging me to journal but am not sure how to do it. This will certainly help me in my journey to be obedient which is my word for 2015! Looking so forward to this! Just what my gray spaces need…a push forward. This year is it! Thank you Bonnie for inspiring us all. Yay! I need some more accountability to write! I’m gonna try to join in on this! Thank you for the invite, Bonnie. I’ve had such a longing to write more than my personal journaling. This seems like a very safe and encouraging place to step out a bit and begin to share. I look forward to your tips along the way. As of yet I do not have a blog up & running…maybe this will happen over the course of 2015?! I have a big learning curve to overcome. So many voices to hush and “old tapes” to replace. Sounds like a great therapeutic exercise, Bonnie. Count me in for some linkups at least. Thanks for sharing your heart with community this past year. I’m looking foward! 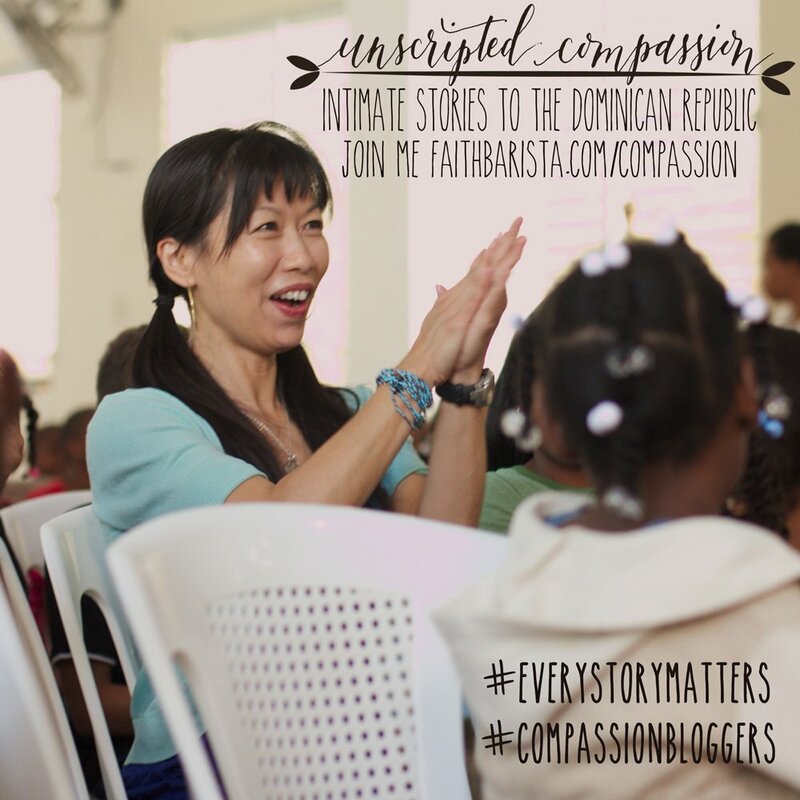 Writing is incredibly therapeutic for me, and I can’t wait to see what God does in this link-up Thursdays. I love how God works! I just read your book – I had multiple books before me, but I felt strongly that God’s direction was yours for this season. I read it all during a recent road trip and saw myself in so many of your pages. And, I recently chose my 2015 word – Loved – and blogged about it (http://frontporchinspired.com/2015/01/06/one-word-for-2015). Then, found your post today on Beloved Brews. So many beautiful affirmations of God’s hand and His love for us. I hope to participate in this Thursday link up and to stay in touch. Thanks Bonnie! You have definitely inspired and helped me too the last 3 and a bit years….this year I’m writing a book I’ve been trying to write for 15 years! No more excuses :). God bless you more than you can ask, think or even imagine in 2015!! Hi, i am so glad I discovered your page. I am so looking forward to adding you to my weekly linkup list. Thanks so much for this. It feels like old times! I’m so excited. Love being apart of this community. Glad to know we’re back to brewing stories and sharing life! I want to join Beloved Brews. I’m not a blogger, so where will I add my writing? I’m also expecting your book today and can hardly wait to dig into it! 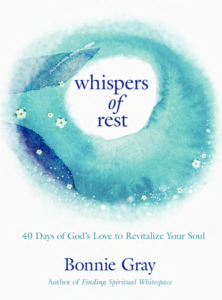 My word for 2015 is REST. I have to learn how to rest in god. I am always striving and trying to do stuff in my own power. I can’t seem to figure this out. Not a blogger but am on a precious journey of God’s healing my life. This book has been a huge encouragement to me. Although I have been journaling for years, your thoughts have helped me continue to effectively use journaling, and art, to walk this path with Him. Thank you, Bonnie, for sharing your heart and your story. I received your book for Christmas and read it in 2 days! I found myself in your book. Now, I am very excited to join this journey in through Beloved Brews! I am not a blogger but am thrilled to be able to continue to be encouraged through you and other bloggers out there. And, to be able to just add a few words of my own along the way. 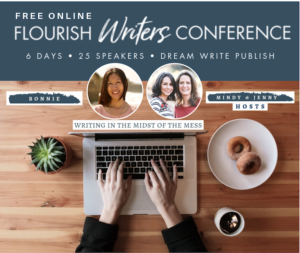 Bonnie, I am not an expert at “linking up”… Do I just post my blog in the comments? Also I do I get the “badge” onto my blog… I am not good at these things, but would love to participate! Hi Grace Jones! So fun to see you here on the blog… it’s been fun hanging out with you on IG. 😉 Super excited you’re going to be writing in the Beloved Brews. I know you are definitely a WRITER.. !!! and youexpress your heart so authentically and beautifully. So, here is how the link up works. Ever Thursday, there is a blue button called “Add Your Link” at the end of my Thursday blog post. If you click it, it will bringy ou to a page whereyou can enter in the specific url of your blog post, pick a thumbnail (photo on your blog post) and submit, then it will show up in alongside all the bloggers that have linked up. the blog link up is different than submitting a comment. 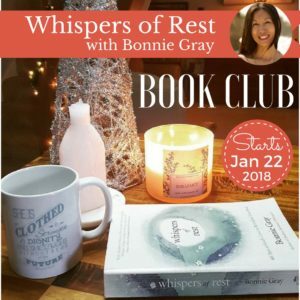 take a look at today’s linkup post: http://www.thebonniegray.com/2015/01/spiritual-whitespace-bookclub-launch-whispers-of-rest-redletterwords-giveaway/ — do you see the rows and rows of blogger thumbnails? yours would show up there. you visit the post before yours and comment. you can refer to http://www.thebonniegray.com/belovedbrews – to read the directions in the future so you don’t have to hunt for this comment. hope that helps. oh, the link closes every Wed. Then a new Thursday prompt is served up for the week. Hi Bonnie – I’ve been in a crazy whitespace and didnt know what to call it. thank you for being a tool God has been using in my life to speak to me about the place i am in now. this world of connecting online is new to me and i am looking forward to opening the envelope of unkown. i’m hoping i can also follow directions enough to join thursdays with you and other women living out their faith in 2015!